I’ve come to accept the fact that life just seems to go in cycles. Some days you can almost feel the fair wind, and there’s just a great parking space with your name on it, no traffic, all green lights and clear sailing. Then there are the days where you can’t even cross the street without a problem. You know the days: the copier will jam if you’re even standing too close to it, grid locked traffic; you’re stuck on the highway behind the elderly woman driving a light blue Buick while you’re late to pick up a child from practice. I call these days “Jell-O” days. 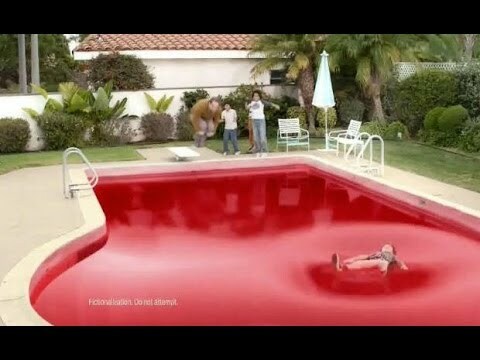 I imagine it’s like I’m trying to swim, only mid-stroke, the water has somehow turned to Jell-O. Some days, if I’m paying close enough attention, I can feel the shift in the current. It’s obvious in how things play out, as say, for example, you check your email, and there is sign up form for a teacher appreciation breakfast for you child’s school. Well, on a fair wind day, you get the email right when it comes in, and you’re good to go to bring juice, paper products or butter. On a Jell-O day, somehow you missed the email’s arrival, and well, all that’s left is “warm breakfast entrée” or the dreaded fruit salad. Unfortunately, life being the way it is, you can’t just go back to bed on a Jell-O day. When it comes to your food choices and your workouts, you need to not let the inevitable Jell-O days derail your efforts. I always try to do a morning workout, as I’m convinced the world will attempt to steal your day the minute it knows you’re awake. Getting some sort of workout in before you officially start the day, guarantees something gets done that day. Tempting though a bag of Oreos or tortilla chips may seem on a Jell-O day, they aren’t the answer. I love this! It is so true – love the warm entree tray! When you think the world is against you, the last person that should turn on you is yourself! That’s the time you need to make decisions that will keep you healthy, strong and wise so you can “Just keep swimming”!